You have to wonder what today’s Health and Safety brigade would make of John Bolster’s vintage special Bloody Mary. It was, as Bolster once wrote, built by two schoolboys in 1929 ‘…with the object of driving around a field as dangerously as possible’. Those schoolboys made a wooden chassis using a hand drill, and installed a 13bhp motorbike engine that pre-dated WW1. 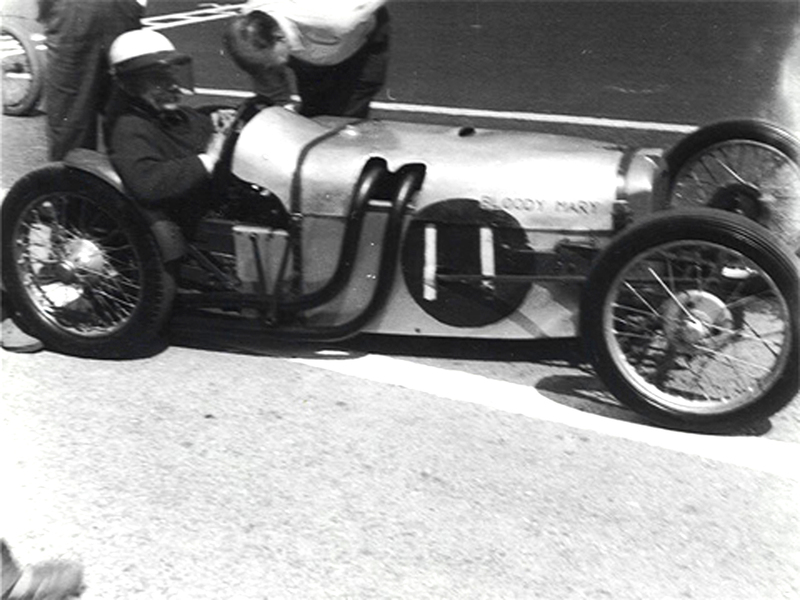 But within a few years Bloody Mary was developing over 100bhp and taking class wins at Shelsley Walsh and other hillclimbs – and it still had that wooden chassis, made by two teenagers with a hand drill. Lewes 1929. 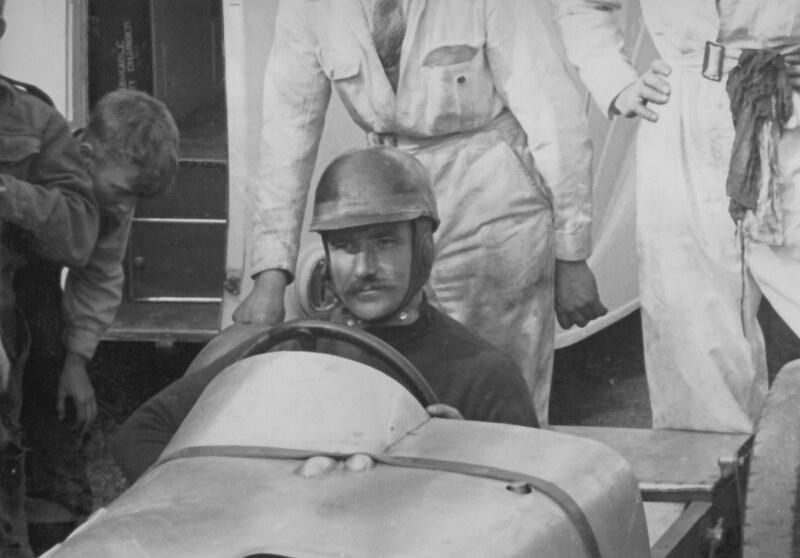 John Bolster without a moustache and the tax disc clearly visible as Mary was road legal in those days. 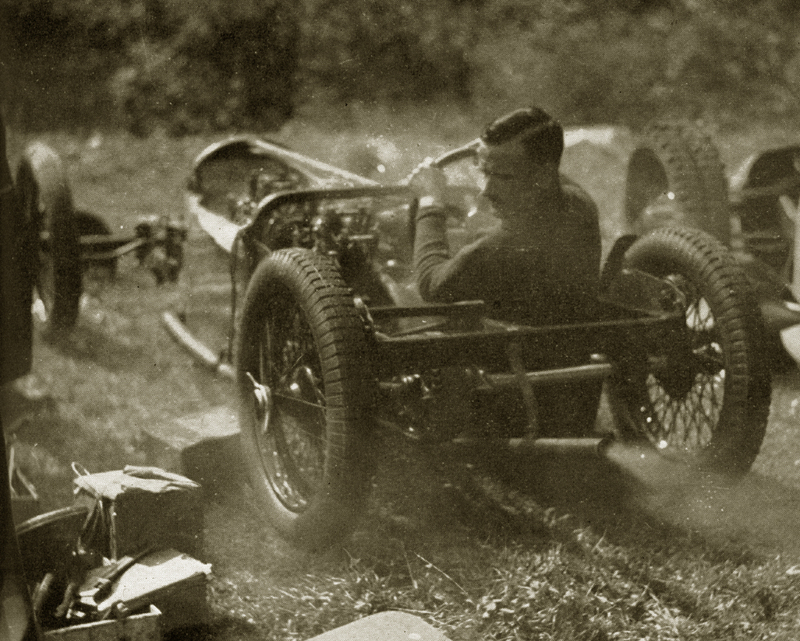 One of the rare shots of John without a helmet; after overturning at Shelsley in 1933 he always wore one. Ingenuity triumphing over meagre resources turned Bloody Mary into one of the most famous of all the pre-war ‘Shelsley specials’. It helps, of course, that John Bolster himself became well known as the iconic deerstalker-wearing broadcaster, commentator and motorsport journalist in later life (he has a cameo appearance in the 1962 comedy film The Fast Lady, along with Graham Hill and John Surtees). Bloody Mary, however, made his name long before the TV and radio work, and will continue to keep it alive long after those ephemeral works have faded from memory. Richard Bolsters four dirt track Rudge engines in a GN chassis. 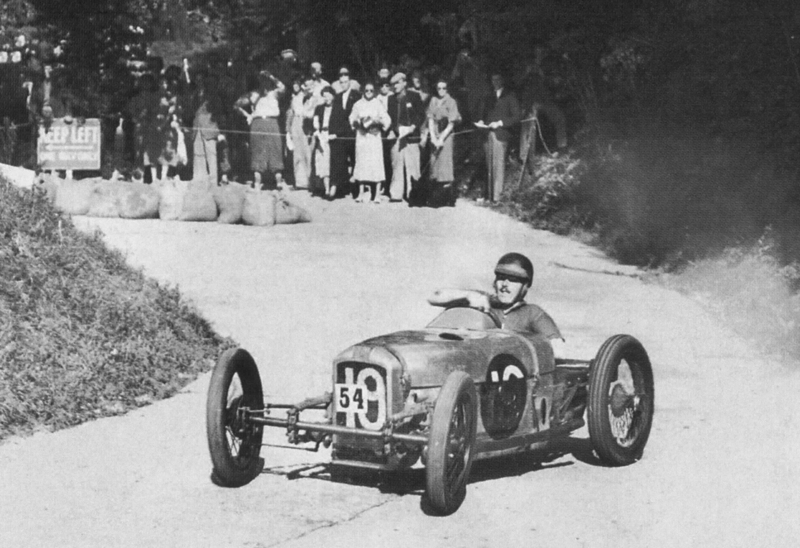 Shelsley Walsh 1938. The car was very quick, good enough for Richard to win his class at Shelsley. However after experiencing continued chain breakage on start up he dropped the idea and built a Hudson engined special. The two schoolboys mentioned above were John and his brother Richard, who were lucky enough to have a mother who was not only well-off but herself fascinated by fast cars. During WW1 mother drove her own Napier and 40hp Mercedes on war work, and she later had a Bentley 3 Litre and was at least an occasional spectator at Brooklands. With that kind of upbringing, it’s not surprising that her two sons also became mad keen on motoring. Richard, in fact, was perhaps the most mechanical-minded of the two – he went on to study engineering at Cambridge – but he would gravitate towards other specials during the 1930s, while John continued to persevere with Bloody Mary. Sadly, Richard was killed while flying with the RAF during WW2. John Bolster Revving up Bloody Mary in the paddock soon after the twin engine conversion. That tragedy was still 12 years into the future when Richard and John propped the components of their would-be special up on bricks in 1929. 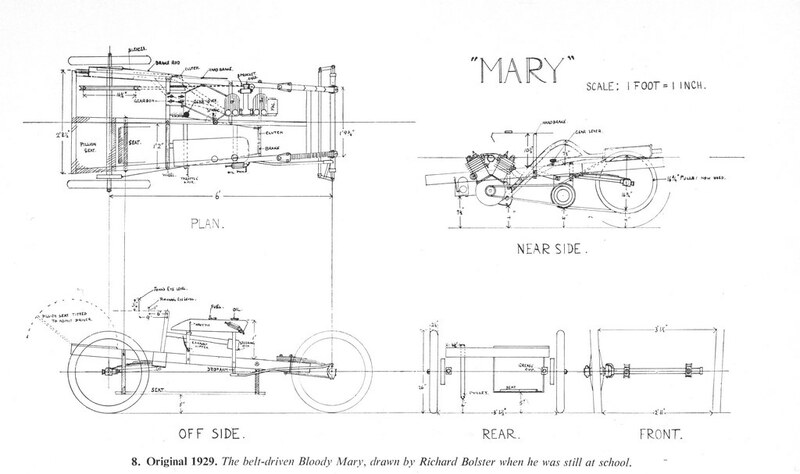 BM’s chassis consisted – and still does – of three longitudinal ash members joined with steel angle brackets, the two outer members flaring outwards so the chassis is wider at the rear than at the front. 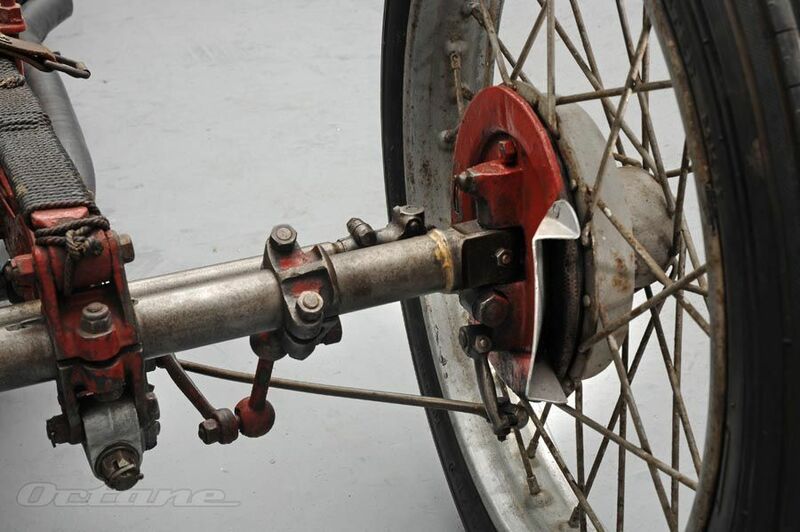 The driver sat to one side of the central chassis rail, while on the other was bolted an ancient J vee-twin engine of 760cc, which drove by chain an obscure make of motorcycle gearbox called a Juckes, which in turn was coupled by rubber belt to a solid rear axle from a Grahame White cycle car. Suspension was basic in the extreme, relying on WW1 ‘balloon’ aircraft tyres at the front and quarter-elliptic springs at the rear. 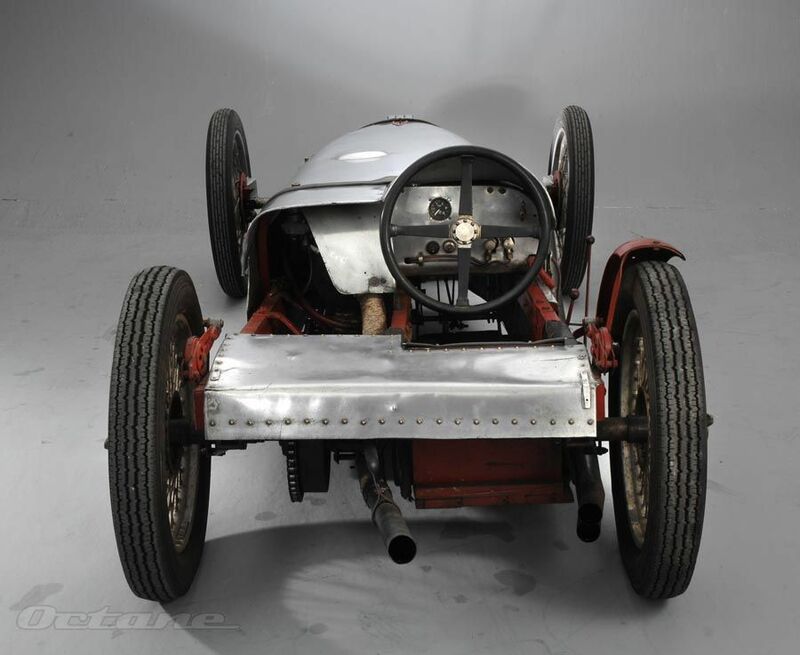 When the front end literally shook itself to pieces, a GN axle and quarter-elliptics were grafted onto the front. ‘I become very angry when people suggest that these springs are bound with string, for the material is best-quality blind cord’ quipped John in later life. And those, along with an unidentified but very quick-acting steering box bought for a shilling and sixpence (1s 6d), were the basics of Bloody Mary. Band brakes on the solid rear axle were described as negligible, and with a weight of about 230kg the whole contraption could do about 55mph. Needless to say, that wasn’t dangerous enough for Richard and John. 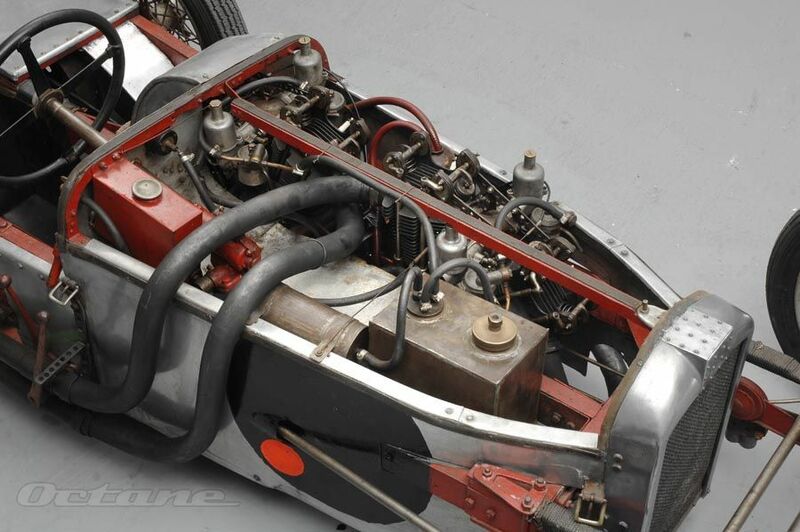 By pooling their funds they bought a four-cam J vee-twin for £7 10s that developed a whopping 30.6bhp – more than twice the power of the first engine. 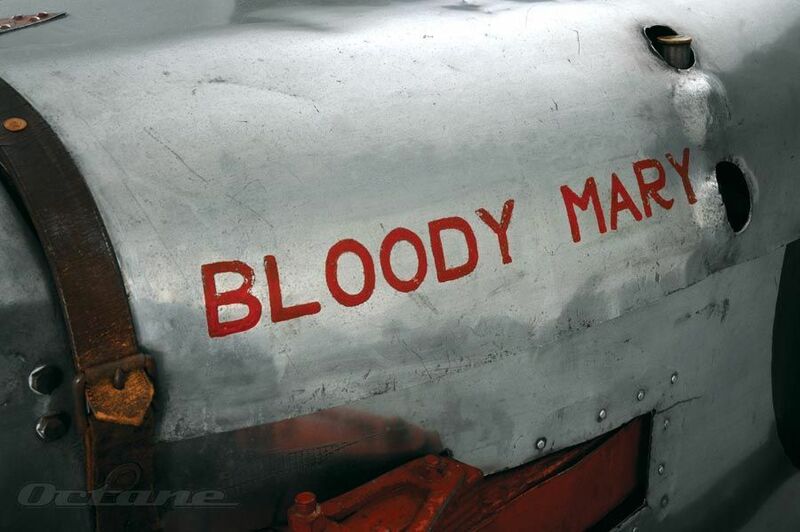 The rubber drive belt was replaced by a second chain, a light aluminium body was created to cover the naked chassis, and the name Bloody Mary was proudly painted onto it.Why the choice of name? No-one knows for sure, but the man who has been the chief motivator in having BM restored to running condition in recent years, Sandy Skinner, thinks it was because the two youngsters wanted to tease the establishment. ‘They did it to taunt the commentators at race meetings, who would struggle to come up with euphemisms like The Bolster Mary or even The Tudor Queen,’ he chuckles. And the Bolster brothers soon made their presence felt at speed events, taking a second place at the Lewes Speed Trials. With torches wired to the mudguards as rudimentary lamps, they would drive BM to and from events, the passenger perched awkwardly above the rear chain. 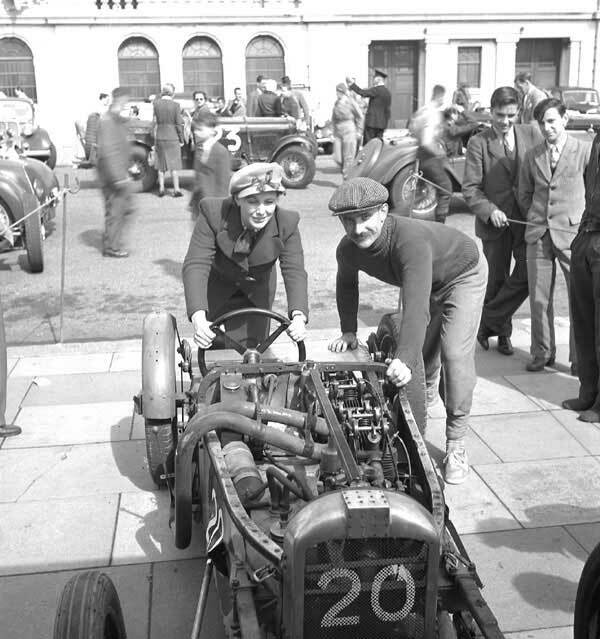 In those days liberties were more easily taken: when Richard built his own 1100cc GN-powered special, the brothers had to ensure both cars were never seen together, ‘…as, no doubt owing to some oversight on the part of the licensing authorities, both cars had the same registration number,’ recalled John. Development of Bloody Mary continued rapidly. 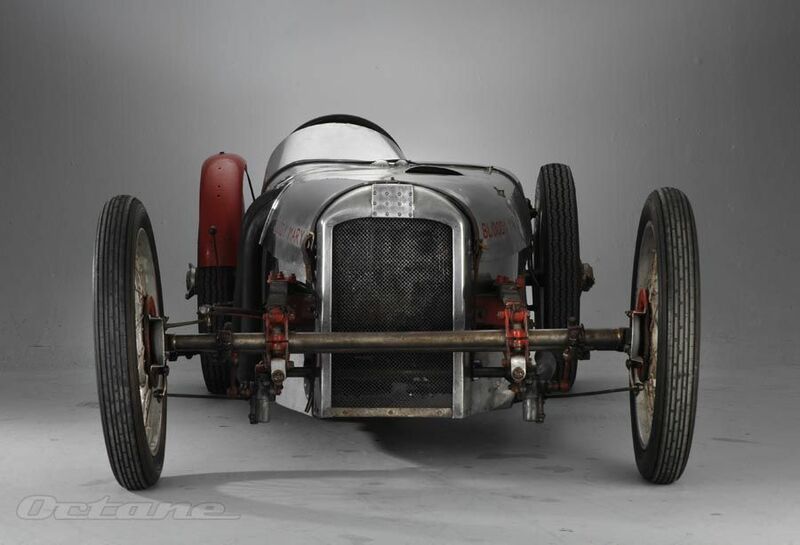 The Juckes gearbox was ditched for a Sturmey-Archer four-speed and the JAP four-cam, sidevalve engine was meticulously prepared with specially made pistons and repositioned spark plugs. BM was now a serious contender in the 1100cc class and taking regular podium places at Shelsley and other venues. After Richard experienced ‘an alarming moment’ at the Inter-Varsity Speed Trials, however, he lost confidence in BM and moved on to other things, leaving John to carry on its evolution. John Bolster in Bloody Mary 1957; Not sure of the event, possibly Brighton. Most likely a demonstration run. ‘For 1933 I had a splendid piece of luck, for a wild young man wrote off his Brough-Superior motorcycle,’ wrote John Bolster cheerfully in explaining how he acquired a nearly new KTOR short-stroke, overhead-valve JAP engine for Bloody Mary. 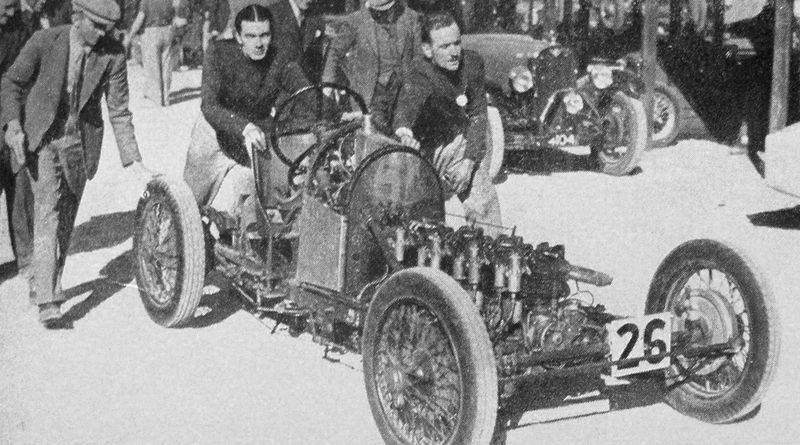 With compression raised and running on alcohol fuel, the latest incarnation of BM ‘…could easily beat supercharged Amilcars and Salmsons, and even overcame the very hottest of the new MG Magnettes at Shelsley Walsh’. By the end of 1933, Bloody Mary was an undeniably quick if idiosyncratic machine. 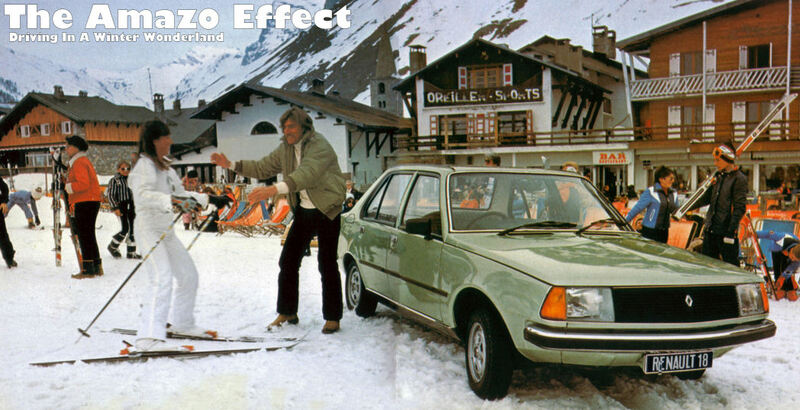 But with its beam axles, handling was always suspect. Alec Issigonis, who built his own very sophisticated Austin special – with independent suspension – ‘trembled with fear’ when he recalled a drive in BM, while Bolster himself, after a trial run at Brooklands, admitted: ‘the rather strait-laced officials would not have permitted record attempts by a car that travelled largely sideways’. Working on the principle that too much is never enough, John embarked on an ambitious new stage in Bloody Mary’s evolution: to fit it with not one but two engines. Fortunately for John, ‘another wild young man fell off his Brough-Superior’ and he was able to buy another secondhand JAP vee-twin. Fitting them both into the chassis and coupling them together taxed even his ingenuity but was eventually accomplished with the aid of a spring-loaded sprocket that allowed for slight irregularities in the firing of the two engines. 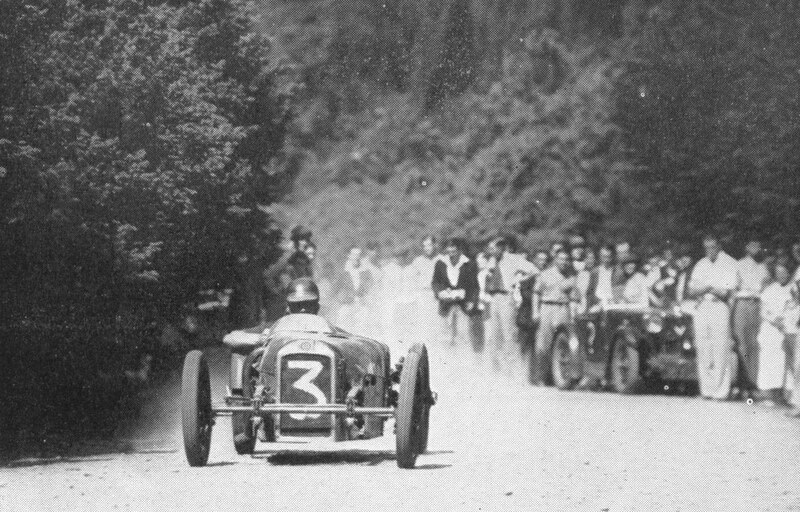 The one disadvantage was that the car always had to be push-started by at least four strong blokes to avoid potential backfires that would destroy the drivetrain, but John never found a lack of willing volunteers in the paddock. 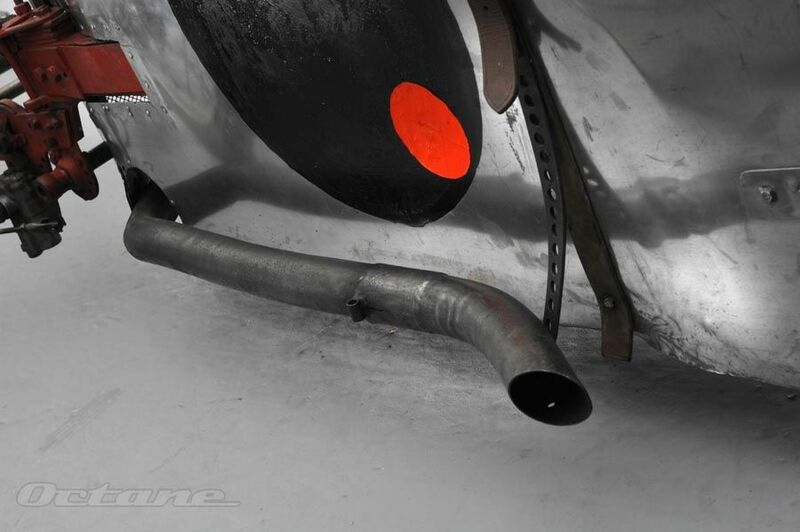 Now that the car’s weight had increased to all of 350kg, front brakes were necessary; particularly since John wanted to go circuit racing at Donington. 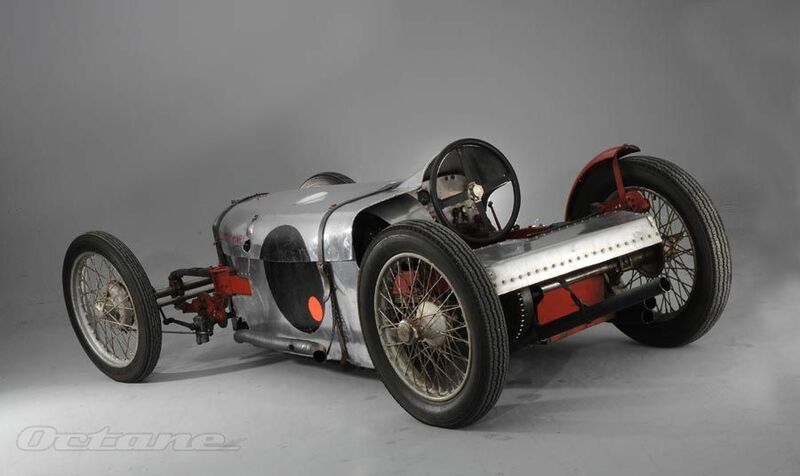 Front wheels and brakes from an Austin Seven were fitted, while the rear wheels were upgraded to Frazer Nash knock-offs after BM’s twin-engined debut at Lewes, where one of the old hubs literally burst under full acceleration. As the car went into a series of wild skids, John switched the engine off and coasted over the line – and still won the under-2-litre class. Bloody Mary was now approaching its definitive form. 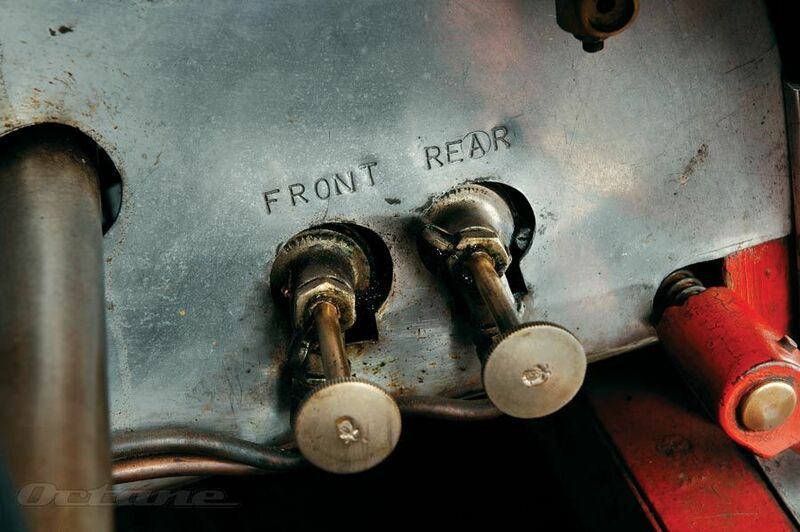 More power was coaxed from the two JAPs by fitting modified cams and Martlet pistons, while reliability was maintained by keeping the compression at a reasonable 9.5:1. 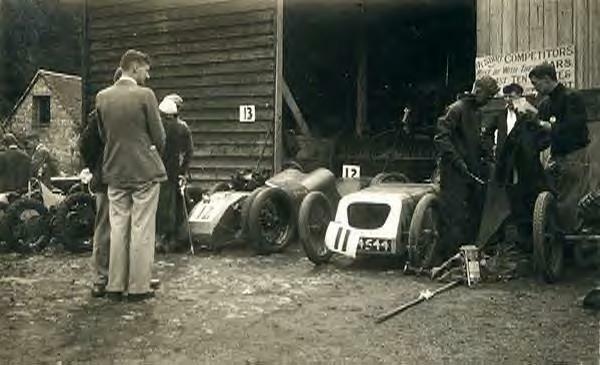 Stiffening the chassis and steering linkage helped shave a remarkable two seconds off Bolster’s time at Shelsley: in June 1937 he climbed the hill in 42.24sec, setting fourth overall best time and the best time for an unsupercharged car. In comparison, Raymond Mays’ supercharged ERA R4B, with independent front suspension, managed 39.09sec. 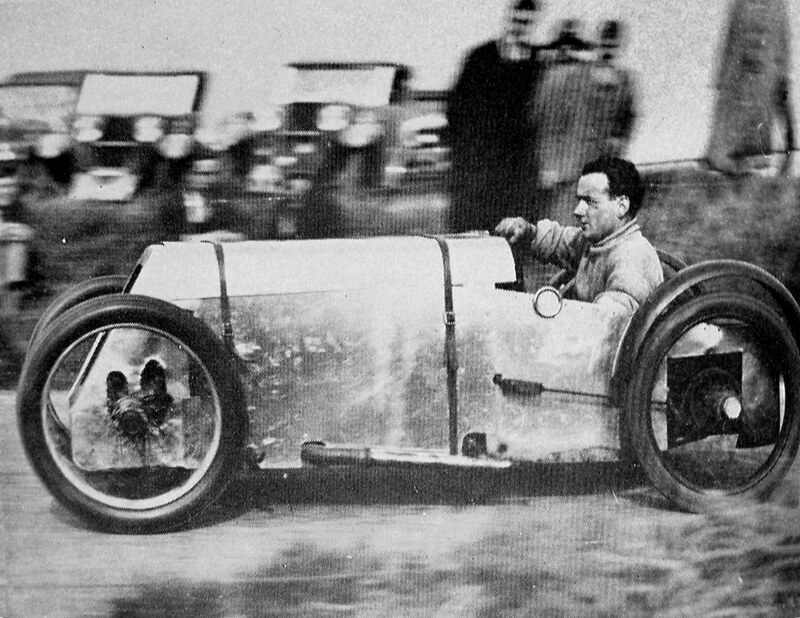 The Motor described Bolster’s performance as ‘a miracle of wheel-winding’. And that was the problem: to be competitive in the late 1930s with Bloody Mary, Bolster had to work miracles. He was convinced that what he needed now was independent suspension, so at the end of 1937 Bloody Mary was parked up in a barn and the two J engines borrowed for a new project that ran no fewer than four vee-twins. The new car was hugely fast (0-100mph in under 10sec) but overly complex, and Bolster never bonded with it in the way he had with BM. The outbreak of WW2 meant that it was several years before Bolster was able to clean bomb-damage debris off BM and start competing with it again. 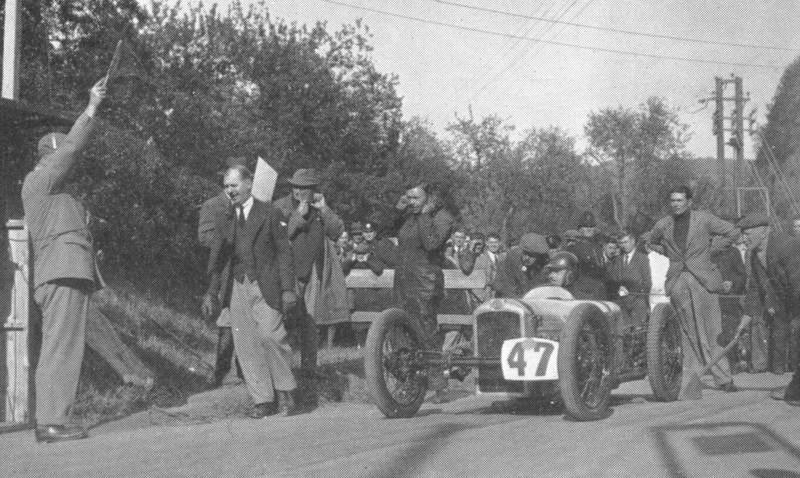 Typically, he found ways to go even faster post-war, and set some cracking times at the re-opened Prescott hillclimb course: in fact, he held the VSCC course record from 1948 to 1953. Bolster moved on to other things, namely broadcasting and journalism, and BM’s last competition outing was at Prescott in August 1963. 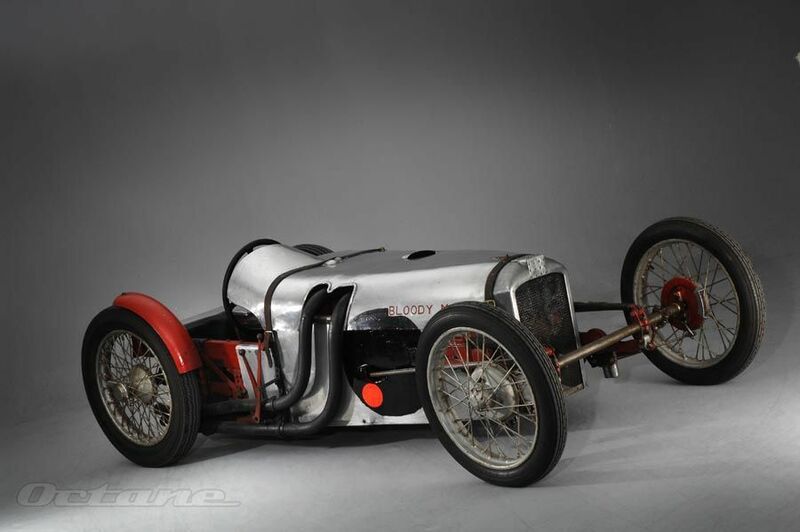 After that it was retired to the National Motor Museum in Beaulieu, where it’s still on display – although Bolster’s widow Rosemary is its owner and fiercely protective guardian, John having died in 1984. With grateful thanks to all for the info used. Subaru-Powered Imp On eBay; Are You Brave Enough?